Home Unlock ZTE How to Unlock ZTE MF80? How to Unlock ZTE MF80? Factory unlock code of ZTE MF80 is available, means MF80 can also be unlocked. 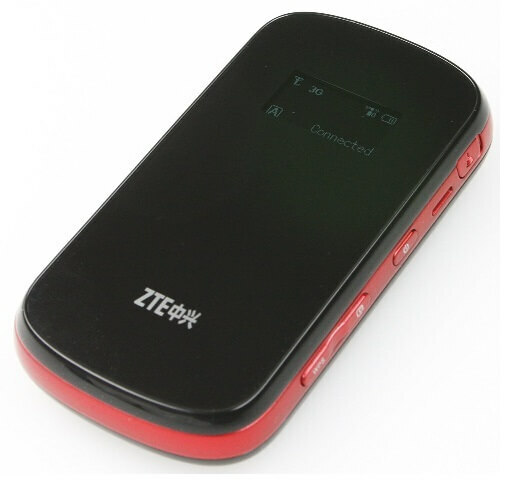 ZTE MF80 is a 3G HSPA+ hotspot router that supports 43.2Mbps download speed. It is upgraded from MF60 wireless 3G WiFi router. The MF80 supports up to 10 users to access the internet. It is similar to Huawei E587 MiFi router, but it supports only 5 users through WiFI and one user from USB cable. The ZTE MF80 features DC-HSPA+/HSPA+/HSDPA/HSUPA/UMTS dual-band and capable of downloading with up to 43.2Mbit/s and 5.7 Mbit/s upload (850/2100MHz). It supports GSM/GPRS/EDGE quad-band (850/900/1800/1900MHz). 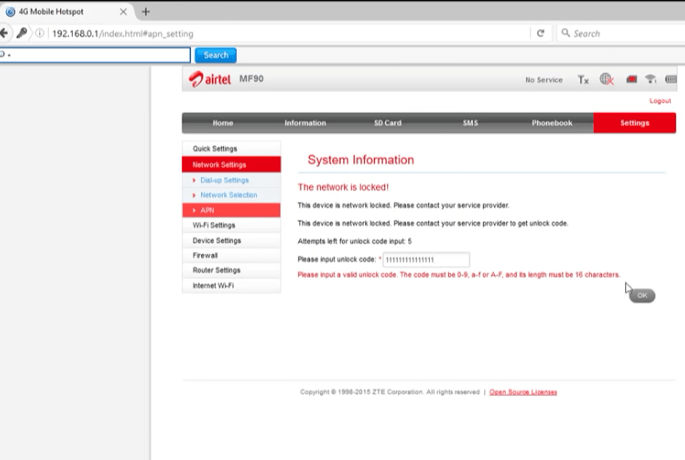 It automatically recognize APN means after unlocking there is no profile creation is required. It packs a 1900mAh Li-ion battery that can provide 4-5 hours of internet. It has a microSD memory card slot (up to 32GB). Further, MF80 has TS9 connector and can be used on Windows 2000, XP, Vista/7 & Mac OS X. The device measures 102 x 55 x 16 mm and weighs 97gms. It has OLED display that shows Wireless signal strength, connection type, connecting to the Internet yes / no, roaming active yes or no, number of connected wireless devices, battery status, operator name and WPS status. 5. Click Settings > Network Settings > APN. 6. It should ask for 16 digits/characters NCK code. 7. Enter the SIMlock code and click OK.
Now you can use any network provider SIM card. Note: SIMlock code of ZTE MF80 is not free, you need to pay. Correct factory unlock code will be emailed. Before making the payment, check out that device is asking for NCK as described above. No (R) no refund will be provided for wrong information. Previous articleHow to Unlock T-Mobile Z64? Next articleHow to Unlock Idea Huawei E3531 (E3531i-2) Dongle of India?